Endowment Investment Philosophy™ - Endowment Wealth Management, Inc.
What is the Endowment Investment Philosophy™? The Endowment Investment Philosophy™ builds portfolios using an asset allocation methodology pursued by major universities like Yale and Harvard because it offers the potential for superior risk-adjusted returns and lower volatility through all market cycles. 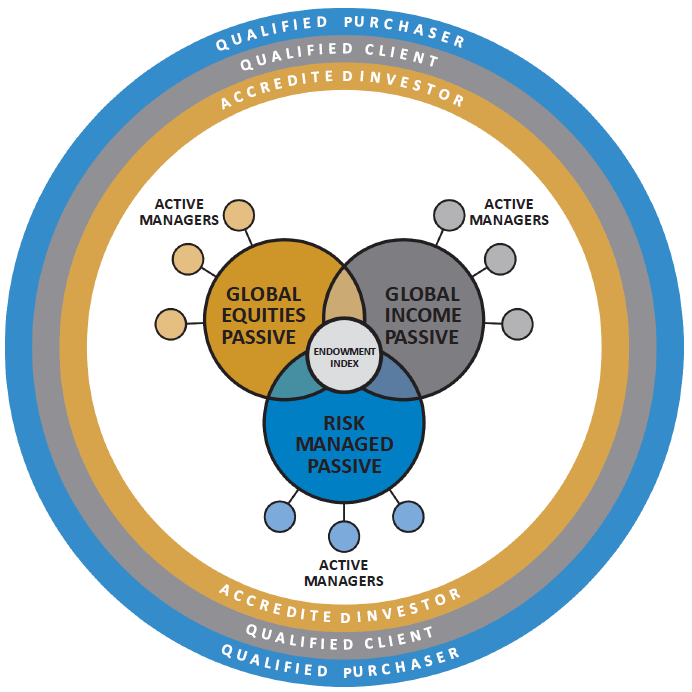 This investment philosophy expands the number of asset classes and strategies used to create a portfolio by including alternative investments such as hedge funds, private equity, and real assets in addition to traditional stocks and bonds in a global framework. 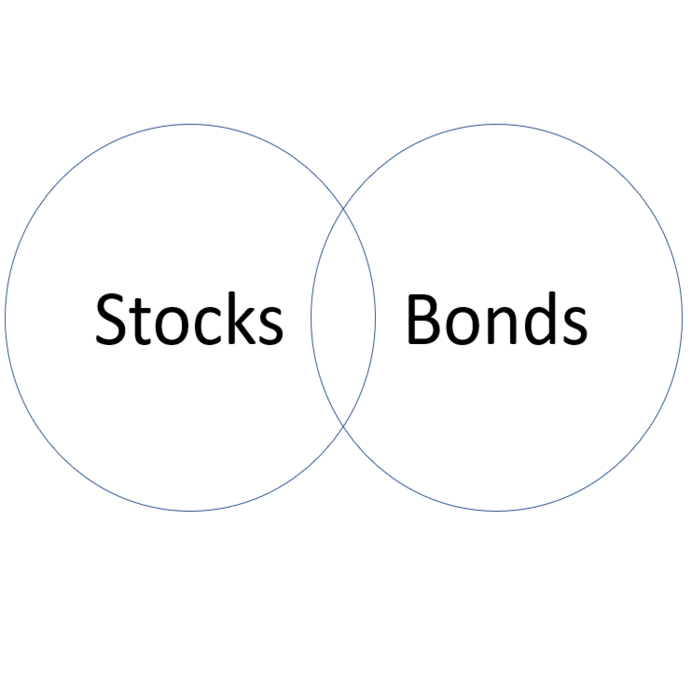 Most investors think in terms of 2-dimensional portfolios comprised of stocks and bonds. Endowments expand their portfolio to include a third dimension by using alternative investments. The primary benefit of using alternative investments in a portfolio is to augment the risk-adjusted returns provided by a 2-dimensional stock-bond portfolio. The portfolios of large charitable institutions and major universities are often managed by utilizing alternative investments. Request the Endowment Investment PhilosophyTM White Paper! As an example, Yale University’s endowment as of fiscal 2017, was valued at $27.2 billion, making it one of the largest university endowments. Its long-term performance over the last 20 year periods ending June 30, 2017 was 12.1% per year as compared to a two dimensional 60:40 stock-bond portfolio (using the S&P 500 Index and the Barclays Aggregate Bond Index) which provided 6.9% average annual returns per year, respectively over the same time period (source: The Yale Endowment Annual Report 2017). Moreover, a two dimensional stock-bond portfolio declined 30.8% from peak-to-trough over the period January-2000 to December-2012. A three dimensional portfolio with equal allocation to the three asset classes lost 23.2% (using the S&P 500 Index, Barclays Aggregate Bond Index and the Dow Jones Credit Suisse Hedge Fund Index). Moreover, the annualized volatility of the three dimensional portfolio was 6.5% as compared to the two dimensional portfolio at 9.2% (Data Source: Morningstar). Investing using a 3-Dimensional approach has outperformed a standard 2-Dimensional (stocks/bonds) portfolio, as well as provided less volatility (major swings) over the past 20 years. Our Endowment Investment PhilosophyTM incorporates the Risk-Managed allocation, in addition to equity and income. As can be seen in the image on the right/below, the Yale Endowment has outperformed a 60/40, 2-Dimensional portfolio over a 20 year period. We believe that most investor's financial goals can be achieved by maintaining an investment allocation to Global Equity, Global Income and Risk-Managed investments. This segment of the portfolios includes allocations to mostly liquid Global Equities (including Emerging Markets) in addition to Private Assets, which helps to capture some of the illiquidity premium. This segment includes allocations to fixed income securities that can provide a steady source of income. Additionally, it can also include equity type higher yielding securities like Master Limited Partnerships, Business Development Companies, Preferred Stock, Real Estate Investment Trusts, and Convertible Debt. This segment includes both tactical and strategic allocations to alternative investments like private equity, hedge funds and real assets, whose objective is to achieve equity type returns with bond type volatility. We utilize the Endowment Investment Philosophy™ in building client portfolios in two primary ways, or a hybrid of both, based on the clients’ accredited investor status. Of course, we do this after learning your goals and aspirations for the future, in conjunction with your risk profile. The portfolio is built to serve you. The first implementation strategy utilizes illiquid alternative investments like private equity, hedge funds, and real assets. This is the preferred methodology for the larger college endowments like Harvard and Yale Universities as well as Ultra High Net Worth clients to implement their investment portfolios. This allows the investor to potentially capture the significant illiquidity premium that has historically been in excess of 5% annually for these investments. The second methodology utilizes liquid alternative investments. The recent proliferation of Exchange Traded Products, primarily using Exchange Traded Funds (ETFs) and Exchange Traded Notes (ETNs), has allowed us to build portfolios using liquid alternative investments. Asset styles and strategies that are not presently available in Exchange Traded Funds/Notes are implemented using Mutual Funds and/or Closed End Funds. The third methodology is a hybrid model that utilizes a combination of illiquid and liquid alternative investments. We utilize our Endowment Index™, which we created and is calculated daily by Nasdaq OMX®, to benchmark client portfolios. We are the creators of the proprietary Endowment Index™ and have partnered with Nasdaq OMX® to provide our 3-dimensional benchmark to all financial markets via the ticker ENDOW.